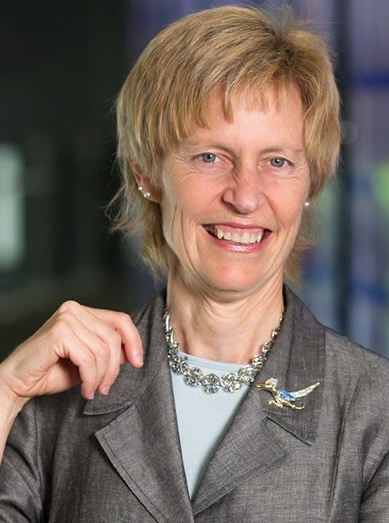 Susan M. Armstrong Senior Vice President, Engineering Qualcomm, Inc.
Susan M. Armstrong started at Qualcomm working on Globalstar and then early CDMA base station projects. She was a pioneer in bringing internet protocols to the cellular industry, resulting in the first web surfing on a cellular phone in 1997, and Qualcomm’s commercialization of packet data in 1998. Since then she has held various leadership positions, first as the head of Software Engineering in Qualcomm’s mobile chipset division, and then as the head of worldwide Customer Engineering, the group who integrates and commercializes the company’s products in phones and other wireless devices. She has worked extensively with phone and device makers in Asia and Europe to bring Qualcomm’s technologies to market. In 2015, Armstrong has joined Qualcomm’s Government Affairs group, where she brings an engineering and product background the Government Affairs work in worldwide public policy, including intellectual property protection, trade and immigration reform, STEM and STEM diversity. 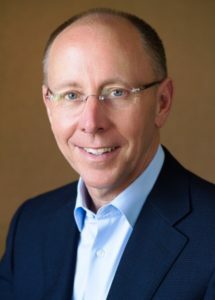 Prior to joining Qualcomm in 1994, Armstrong worked for 10 years at the Xerox Systems Development Department and the Xerox Webster Research Center, holding a variety of software engineering positions that focused on data protocols and operating systems, and advanced development in high-speed data networking. Armstrong holds a bachelor’s degree in computer science from California Polytechnic State University, San Luis Obispo. John Hope Bryant, Founder, Chairman and CEO, Operation HOPE, Inc. 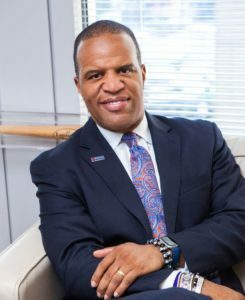 Recognized as one of Time magazine’s “50 Leaders for the Future,” John Hope Bryant is an American entrepreneur, author, philanthropist, and prominent thought leader on economic empowerment and financial dignity. 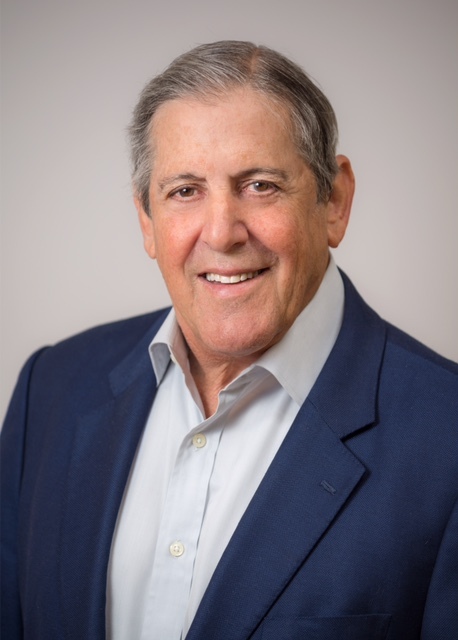 Bryant is the founder, chairman, and chief executive officer of Operation HOPE, Inc.; chairman and chief executive officer of Bryant Group Ventures, and co-founder of Global Dignity. He currently serves on the U.S. President’s Advisory Council on Financial Capability for Young Americans. A member of the founding class of The Forum of Young Global Leaders, and founding member of Clinton Global Initiative, Bryant is a LinkedIn Influencer and Huffington Post contributor. He has received over 500 awards and citations for his work, including, Oprah Winfrey’s Use Your Life Award. Bryant is the author of bestsellers How the Poor Can Save Capitalism: Rebuilding the Path to the Middle Class, and LOVE LEADERSHIP: The New Way to Lead in a Fear-Based World. Gerald Chertavian, Founder/CEO, Year Up! Since founding Year Up in 2000, Gerald has won the Manhattan Institute Social Entrepreneurship Award, the Freedom House Archie R. Williams, Jr. Technology Award, and was elected as a Fellow with the Ashoka Global Fellowship of social entrepreneurs. Gerald was appointed to the MA State Board of Elementary & Secondary Education and made Chairman of Roxbury Community College Board of Trustees. He serves as an advisor for the Harvard Business School Social Enterprise Initiative and a member of the World Economic Forum’s Youth Unemployment Council. His 2012 book, “A Year Up,” is a New York Times bestseller. Ellen Hughes-Cromwick was appointed Interim Associate Director, Social Science and Policy at the University of Michigan Energy Institute (UMEI) on July 24, 2017. Dr. Hughes-Cromwick will participate in several research and policy initiatives and will serve as a core team member for the annual Transportation, Economics, Energy and the Environment (TE3) conference in October 2017. She has also accepted the position as senior advisor at MacroPolicy Perspectives LLC, an economic research and consulting firm helping clients with insights about global macroeconomic and policy developments. Dr. Hughes-Cromwick recently completed an appointment as Chief Economist of the U.S. Department of Commerce during the Obama Administration. She worked on several Administration initiatives to improve data quality, measure the digital economy, and expand manufacturing, trade, and investment. Hughes-Cromwick assisted Commerce Secretary Penny Pritzker on many global macroeconomic matters in support of her commercial diplomacy, trade, and foreign direct investment initiatives. Dr. Hughes-Cromwick also supported the development of the Administration’s economic forecast. Marc is the Founder & CEO of Encore.org, a member of the Wall Street Journal’s “Experts” panel and the author of four books. Marc was named a 2015 Legend in Mentoring by Mentoring.org, a 2015 Influencer in Aging by PBS’ Next Avenue.org, a World Economic Forum and Schwab Foundation’s 2014 Social Entrepreneur of the Year, and in 2010 he received the Skoll Award for Social Entrepreneurship. Marc has helped establish AARP Experience Corps. Joseph B. Fuller is a Professor of Management Practice in General Management at the Harvard Business School and a founder and former CEO of Monitor Group, now Monitor-Deloitte, the global management consultancy. 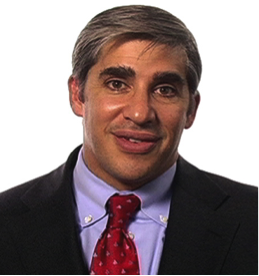 Joe is one of the leaders of HBS’s ongoing project on U.S. competitiveness. He has spent the last five years studying issues related to employment. Specifically, he has focused on the “skills gap” — the phenomenon that employers find it hard to fill open positions at the same time the nation suffers from high levels of underemployment and falling workforce participation. He is the principal author of “Bridge the Gap: Rebuilding America’s Middle Skills” and a co-author of “Managing the Talent Pipeline,” two widely-cited papers on potential means for addressing the skills gap. John is President & CEO of America’s Promise Alliance and previously served as Director of AmeriCorps. John has also served as President of Civic Ventures, CEO of Experience Corps, COO of Public Education Network, Chief of Staff for the Corporation for National and Community Service, and Deputy Director of the Senate Democratic Leadership Committee. John sits on several boards and advising groups, including the Presidio Institute and FoodCorps. 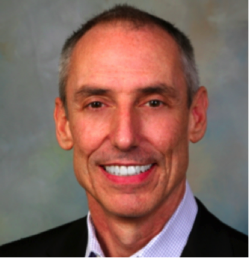 Paul Irving is chairman of the Milken Institute Center for the Future of Aging, chairman of the board of Encore.org, and distinguished scholar in residence at the University of Southern California Davis School of Gerontology. He previously served as the Milken Institute’s president, an advanced leadership fellow at Harvard University, and chairman and CEO of Manatt, Phelps & Phillips, LLP, a law and consulting firm. Author of “The Upside of Aging: How Long Life Is Changing the World of Health, Work, Innovation, Policy, and Purpose,” a Wall Street Journal expert panelist and contributor to the Huffington Post, PBS Next Avenue and Forbes, Irving also serves as a director of East West Bancorp, Inc. and on advisory boards at USC, Stanford, and U.C. Berkeley, the Global Coalition on Aging, WorkingNation, and the Bipartisan Policy Center. PBS Next Avenue named Irving an “Influencer” for his leadership in the field of aging. He has been honored with the Janet L. Witkin Humanitarian Award by Affordable Living for the Aging, the Life Journey Inspiration Award by Stanford University’s Distinguished Careers Institute, and the Board of Governors Award by Loyola Law School, Los Angeles. Prior to working with the Los Angeles Coalition, Mr. Kelly has worked in a number of high-level positions, both in the private sector with the Boeing Company and with California State government. He had the distinction of being appointed by both Governors Gray Davis and Arnold Schwarzenegger to the California Film Commission and served in a variety of capacities for Governor Davis, first as an aide to then Lt. 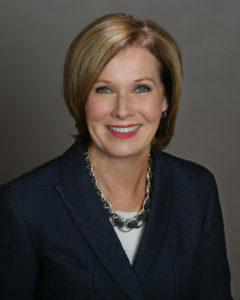 Governor Davis, a Special Assistant for Internal and External Affairs with the 1998 gubernatorial campaign and the Governor’s office and as a Deputy Cabinet Secretary. 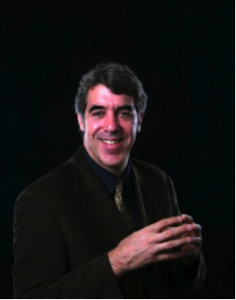 He currently serves on the board of directors of the Center for Sustainable Energy, chair of the FUSE Corps L.A. Advisory Committee, the chair of the Philanthropic Foundation for California State University, Dominguez Hills, and a member of the Los Angeles Cleantech Incubator’s Diversity in Entrepreneurship Committee, partner at Saving The West, advisory board member for WorkingNation, well as an adviser to Transmosis. He was also the recipient of the EnCorps Teachers Program 2010 “Torchbearer of the Year” Award. Michael is married to Mia Kelly and is the proud father of three daughters, Morgan, Milana and Makena. Gretchen Koch is responsible for CompTIA’s Creating IT Futures Foundation’s IT workforce development and education initiatives. She joined the foundation in 2014 after 11 years of developing national workforce initiatives for CompTIA, where she parlayed her knowledge of the industry and educational systems to become a nationally known change agent for IT workforce development. 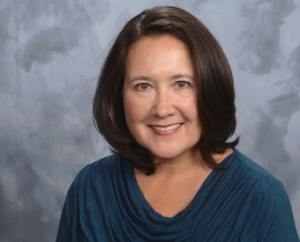 She has worked closely with the U.S. Department of Education on its Certification Data Exchange Project and led efforts with the State of Illinois and the Chicagoland Workforce Funder Alliance to develop and promote IT career pipelines in the state. She has also been the National IT Career Cluster Leader for the States’ Career Clusters Initiative and the Lead Entity for the IT Learning Exchange for Illinois’ Race to the Top Pathways Initiative. When she is not working from the Foundation’s headquarters in Downers Grove, IL, she spends a great amount of time in Los Angeles, working with local leaders in education and workforce development. 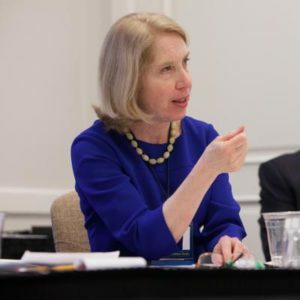 In the past few years, she has spoken at the Close IT Summit, the National Association of Workforce Boards Forum, and the Workforce Development Institute. 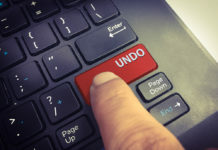 By invitation from the U.S. Department of Education, Koch also has spoken at the Data Quality Institute (DQI) regarding its Certification Data Exchange Project. Before joining CompTIA and its foundation, Ms. Koch had more than 20 years of experience in IT management at Digital Equipment, Compaq, and Hewlett-Packard corporations. Her most recent position in the IT Industry was national education manager, Global Services Division at Compaq & Hewlett-Packard Corporation. Koch is a graduate of the University of Michigan, with honors, and holds a MAT from Harvard Graduate School of Education and an MBA from Simmons Graduate School of Business. 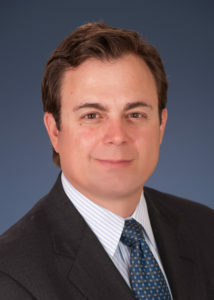 Steven W. Korn has business experience in a variety of fields; among them, news, media, entertainment, law, mergers and acquisitions and board membership. Most recently, Steve was President and Chief Executive Officer of Radio Free Europe/Radio Liberty. RFE/RL is a U.S. government-funded nonprofit corporation headquartered in Prague, Czech Republic. The company operates in 19 countries providing news in 21 languages. Previously, Steve served as Vice Chairman and Chief Operating Officer of CNN. In that capacity, he oversaw the business and operations of CNN Worldwide. Before CNN, Steve was Vice President, General Counsel and Secretary of CNN’s corporate parent, Turner Broadcasting System, Inc.
Later, he was Publisher of the Fulton County Daily Report, a small Atlanta newspaper. Steve has served on a variety of boards, including for-profit and nonprofit companies. Currently, he serves on the board of Caleres, Inc., which manufactures, distributes and sells shoes in both the retail and wholesale markets. 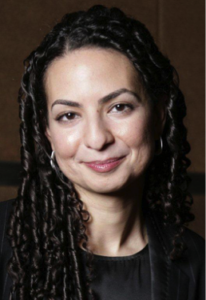 Mona leads Generation, a global youth employment program and the flagship effort of McKinsey Social Initiative where Mona serves as the Board of Directors’ Vice President. Mona is also a senior partner with McKinsey & Company’s Washington DC office and leads the Global Education Practice. Mona was selected as one of Fortune Magazine’s ’40 under 40’ (2011), serves on the boards of Junior Achievement Worldwide and the International Baccalaureate Organization, and is a member of the World Economic Forum Global Agenda Council on Education. 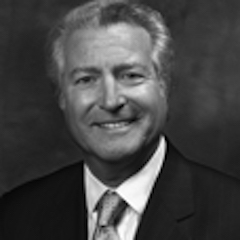 William J. Raduchel is a strategic advisor at DMGT PLC and chairman of LiquidSky Software, Inc., a director of Cricket Media and LiveIntent and chair of the Executive Advisory Board at Originate. For 15 years, he was a strategic advisor to Naspers/Myriad International Holdings. He teaches corporate strategy at Georgetown University and was the chair of the Committee on Copyright and Innovation in the Digital Era for the National Academy of Sciences. 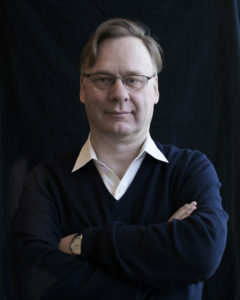 From June 2006 through June 2011, he was chairman of the board at Opera Software ASA. Earlier he was the CEO of Ruckus Network, and executive vice president and chief technology officer of AOL Time Warner, Inc., Raduchel joined AOL in September 1999 from Sun Microsystems, Inc., where he was chief strategy officer. 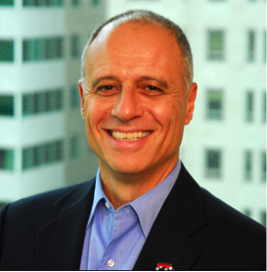 In addition, he has held senior executive roles at Xerox Corporation and McGraw-Hill, Inc. He has 25 issued and several pending patents. After attending Michigan Technological University, which gave him an honorary doctorate in business in 2002, Raduchel received his B.A. in economics from Michigan State University in 1966, and earned his A.M. (1968) and Ph.D. (1972) degrees in economics at Harvard. Martin Reeves is a Senior Partner and Managing Director in the New York office of The Boston Consulting Group. Martin’s latest book, Your Strategy Needs a Strategy, co-written with Knut Haanæs and Janmejaya Sinha, was published by Harvard Business Press in June 2015 and is available in 10 languages. Martin is also the Director of The BCG Henderson Institute, BCG’s vehicle for exploring the latest thinking in business and inspiring business’ next game. 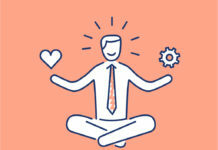 Current themes include growth and resilience, strategy and artificial intelligence, self tuning organizations, strategy and sustainability, new bases of competitive advantage, corporate longevity, organizational ingenuity and economic complexity. Martin joined BCG in London in 1989 and later moved to Tokyo, where he led the Japan health care practice for eight years and was responsible for BCG’s business with Western clients. He has led strategy assignments in healthcare, consumer goods, financial services, and industrial goods in Japan, the U.S., and Europe. Shirley is President & CEO of Service Year Alliance, a Visiting Senior Fellow at the Center for American Progress, and an Adjunct Professor at Georgetown University’s McCourt School of Public Policy. Previously, Shirley served as the first Managing Director of the Corporation for National & Community Service, Founding Executive Director of Learning First Alliance, Chief Counsel for Youth Policy for the Senate Labor Committee, and helped draft the National and Community Service Act of 1990 and the 1993 AmeriCorps legislation on the White House Domestic Policy Council staff. Shirley was named “Woman to Watch in the 21st Century” by Newsweek and sits on the boards of City Year, National Women’s Law Center, and the Public Welfare Foundation, and is a member the Maryland Governor’s Service Commission. Shirley has written three books, the most recent of which explores how national service is an underutilized strategy for solving community problems. In addition to serving as President & CEO of Hope Street Group, Martin was Co-Founder & CEO of Viridis Learning, and President & COO of ACT’s Workforce Development Division. While with ACT, Martin launched the National Career Readiness system and helped drive President Obama’s Job Council program Right Skills Now. Previously, Martin served as COO of Bosch-Siemens Household, VP of Corporate Strategy at Hon Industries, and VP of Marketing at Maytag. Jason serves as the Executive Director of the Center for Education and Workforce at the U.S. Chamber of Commerce, which partners with Chamber members and business leaders to preserve America’s competitiveness and improve career readiness across the country. Previously, Jason served as a policy advisor to Illinois Governor Pat Quinn, where Jason chaired the interagency Job Training Working Group and helped develop the public-private STEM education strategy known as Illinois Pathways. Prior work included a significant impact on Illinois public-private partnerships for economic and educational development. Jonathan E. Fielding, M.D., M.P.H., M.B.A., M.A. has contributed to the field of public health and prevention for more than 40 years in a variety of leadership positions. He is particularly interested in the broad societal influences on health, such as formal education, income and tax policy, transportation, housing and the social and physical environments. Dr. 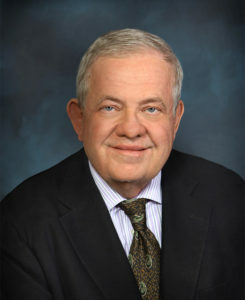 Fielding led the public health activities for Los Angeles County as Director of Public Health and Health Officer for 16 years, responsible for all public health functions including surveillance and control of both communicable and non-communicable diseases, and health protection (including against bioterrorism) for the County’s 9.8 million residents. He directed a staff of nearly 4,000 with an annual budget exceeding $850 million. Dr. Fielding also served as Commissioner of the First 5 L.A. Commission, which provides over $100 million in funding annually for programs to improve the health and development of children 5 years of age and under. Dr. 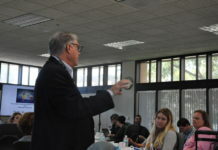 Fielding is currently a Distinguished Professor of Public Health and Pediatrics at the University of California, Los Angeles where he has been a tenured faculty member since 1979. He and his wife Karin have been major benefactors of the University. The public health school was renamed the UCLA Jonathan and Karin Fielding School of Public Health in 2012 in recognition of their generosity and Dr. Fielding’s many contributions to the public’s health over almost half a century. He is also the founder of the UCLA Center for Health Advancement, which models opportunities to improve health with a special focus on socially marginalized groups. 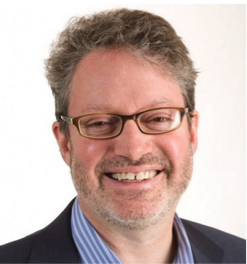 Nationally he chaired the HHS Secretary’s expert advisory group on the 2020 Healthy People Project and is a Co-Chair of the successor advisory group for the 2030 Healthy People Project. In addition, he has been chairing the U.S. Community Preventive Services Task Force for over a decade and was a founding member of the U.S. Preventive Services Task Force. 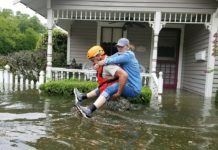 He is the long-serving Editor of the Annual Review of Public Health and the immediate past Board Chair of the American Legacy Foundation. He was a Presidential appointee and founding member of the National Advisory Group on Prevention, Health Promotion, and Integrative and Public Health, and also is an expert advisor to the Director of the Centers for Disease Control and Prevention. Dr. 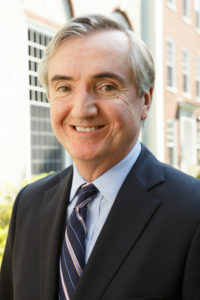 Fielding previously served as Commissioner of Public Health for Massachusetts and is an elected member of the National Academy of Medicine. Dr. Fielding has authored more than 300 original articles, commentaries, and editorials on public health and prevention issues. 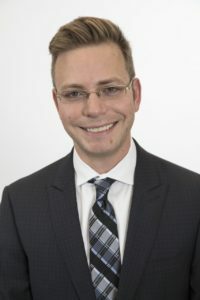 His current research interests include the effectiveness of core public health policies and programs, and the physical, social, and economic determinants of health. He received his medical, public health and history of science degrees from Harvard University and an MBA in finance from the Wharton School of Business. He has received many academic and professional honors, including honorary doctorates and the Sedgwick and UCLA Medals and the Fries Prize.